There are times when you would want to use Powershell or run a Powershell Script in MDT WinPE. Powershell support is available but is not enabled by default. This is how you enable it. 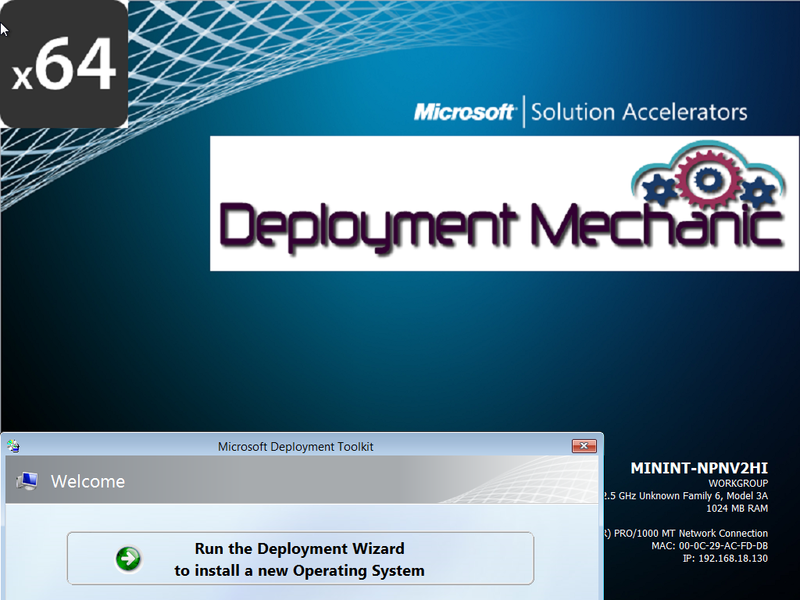 Launch Deployment Workbench, Open Properties of your Deployment Share and Click on Windows PE tab. Choose Platform x86 from the drop down. Select Features tab. Choose Platform x64 from the drop down. Select Features tab and Enable .NET Framework and Windows Powershell. Click Apply. Switch to the General tab and Ensure that you Enable the check box for both x86 and x64 in the Platform Supported Section and then click OK.
Next right click on your deployment share and click on update deployment share and completely regenerate the Boot Images and click Finish when done. Boot off the new WinPE ISO, Press F8 to launch command prompt. Run powershell.exe to launch powershell prompt. The below script reads each and every IP from the input file “Serverlist.txt” (Create a Text File “Serverlist.txt” in the same path you save this script) , the first thing is to try to get the name from DNS, then confirms the connectivity with the ilo, then we load the XML data, we then convert, modify, bend and twist so it looks the way I need it and last we dump it in a CSV file. Get Install Date and OS Version for a list of Servers provided in a Text file and publish the result in CSV. Script reads each and every IP/hostname from the inputfile “Serverlist.txt” (Create a Text File “Serverlist.txt” in the same path you save this script), checks if the IP/hostname can be reached. if it can be reached connects to WMI and collects the Install Date and OS Version (Caption) and we dump it in a CSV file in the same path where you have this script. 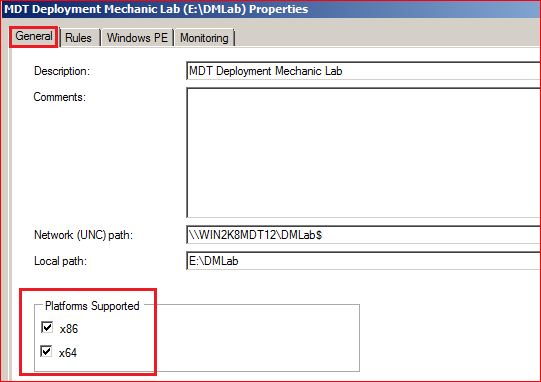 There are times when you would want to provide an option or prompt the user to select a Deployment Share during an MDT Deployment, it quite simple to get it working with the help of Extra Directory. See https://deploymentmechanic.wordpress.com/2015/10/31/add-extra-directory-to-winpe-x86-x64-in-mdt/ for more information about how to add Extra Directory. You would need to perform the following steps on any one of your deployment share and ensure that you generate WinPE ISO from the same deployment share. Create an XML file and specify the various deployment servers/shares. You could copy the below sample content into Notepad and save it as LocationServer.xml. You would need to update friendlyname and UNCPath as per your infrastructure/deployment share. 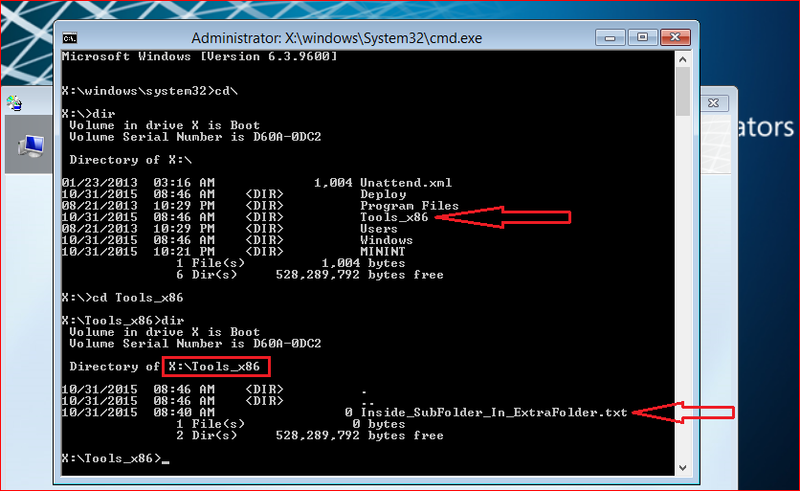 Next create a folder called “Deploy” under the root of Extra Directory, in my case under the x86 and x64 folder. Create another folder called “Control” under “Deploy” folder and Copy LocationServer.xml you created into the “Control” folder. Next Launch Deployment Workbench, Open Properties of your Deployment Share where you have made required configuration to add the Extra Directory and Click on Rules Tab and Click on the Edit Bootstrap.ini button at the bottom. Modify the Bootstrap.ini file to NOT include any DeployRoot value, you could either delete the line or comment the line by putting a semi-colon in front of the specific value in this case DeployRoot. We would need to do this cause the LocationServer.xml feature dynamically sets the value. Save and close Bootstrap.ini. Click OK on the Properties Windows. Next right click on the deployment share and click on update deployment share and completely regenerate the Boot Images and click Finish when done. Boot off the new WinPE and you should see the LocationServer.xml feature in action. So, This blog post is a foundation for few of my future blog post. 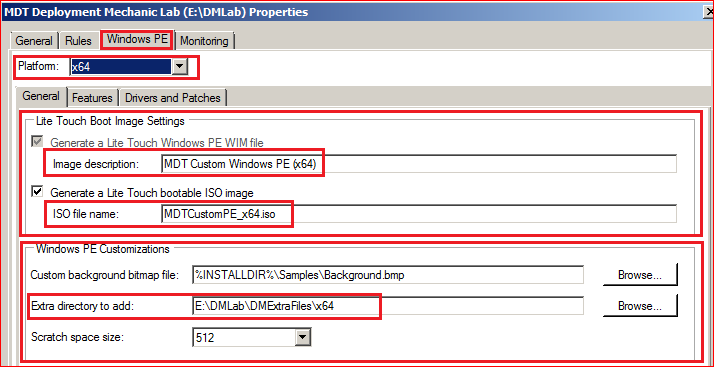 Create a folder in your deployment share; I have created “DMExtraFiles”. In the folder you just created, “DMExtraFiles” in my case. Create 2 more folders “x86” and “x64” these folders can be used to organize and store folders, files, scripts etc that would be injected into respective versions of WinPE. You would get a better understanding as we move along.. 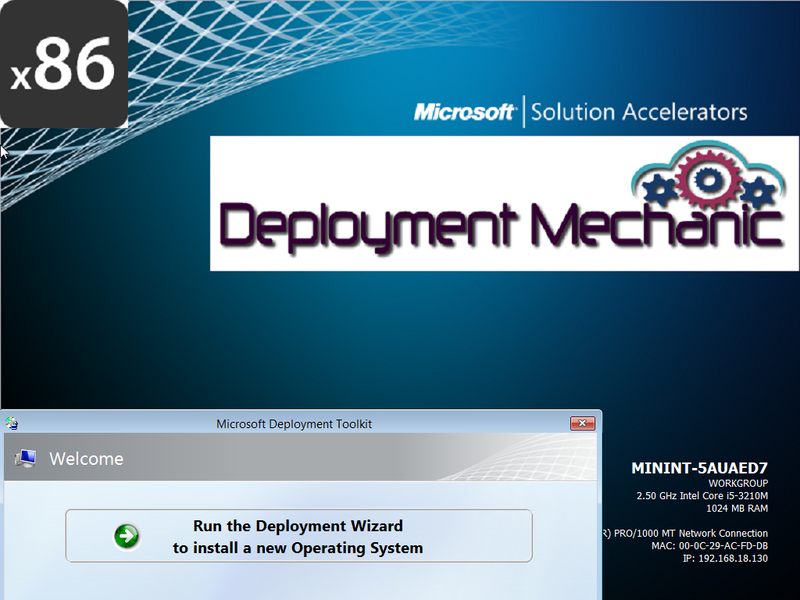 Launch Deployment Workbench, Open Properties of your Deployment Share and Click on Windows PE tab. Choose Platform x86 from the drop down, In the Lite Touch Boot Image Setting section give an Image Description and ISO Filename of your choice. 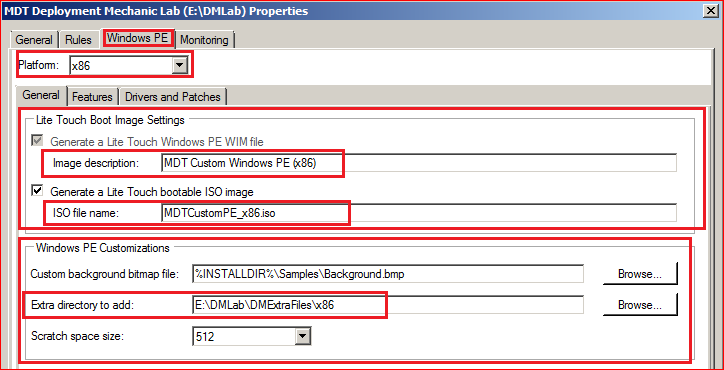 In the Windows PE Customization’s section in Extra directory to add browse to the x86 folder we created. Now lets boot using the WinPE ISO that was just generated, you can find these in <your deployment share>\Boot folder. Once you have a machine booted off the WinPE (I have booted of the x86 WinPE), Press F8 to launch command prompt and go to the root of the drive and list all files and folder. But where is the x86 Folder ? You will not find it cause <your deployment share>\DMExtraFiles\x86 folder is Empty. OK, let me prove that to you. Once again boot off the new WinPE (I have booted of the x86 WinPE), Press F8 to launch command prompt and go to the root of the drive and list all the files and folder. 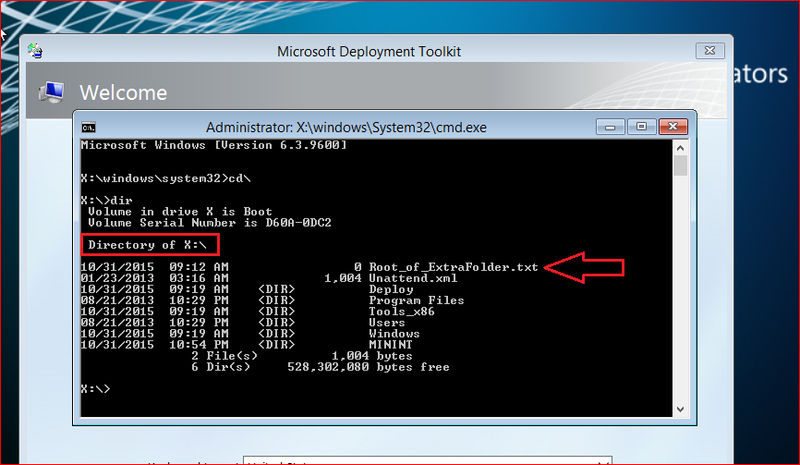 You can see the text file “Root_of_ExtraFolder.txt” in the root of X drive. So this should give you a fair idea of how Extra Directory/Folder Works. Go ahead and try adding a few files into WinPE X64 Boot Image. Create a folder in your deployment share; I have created “DMExtraFiles”. In the folder you just created, “DMExtraFiles” in my case. Create 2 more folders “x86” and “x64”. First let’s get Custom Background and BGInfo in place for both x86 & x64 Platform of WinPE. In case you are wondering where did I get the background image from its in “<Install Drive>\Program Files\Microsoft Deployment Toolkit\Samples\Background.bmp” and Use your MS Paint Skills, Also let me tell you this everything that you need to follow along to complete this blog post is already available on the server you have MDT Installed on. Now open WinPE_x86.BGI (Accept License Agreement if asked) and click on Background, update path of Wallpaper Bitmap : %systemroot%\System32\winpe.bmp and click OK twice to save the changes. Now open WinPE_x64.BGI (Accept License Agreement if asked) and click on Background, update path of Wallpaper Bitmap : %systemroot%\System32\winpe.bmp and click OK twice to save the changes. Next we need to update Unattend.xml to launch BGInfo.cmd, As I said earlier there is already a WinPE Unattend.xml file template for both x86 and x64 available in <Install Drive>\Program Files\Microsoft Deployment Toolkit\Templates. Few things you would want to ensure once you add these lines.. Order for Lite Touch PE should be set to 2..